Stowe Golf Park is open from May through October from 10:00 AM to 9:30 PM daily. 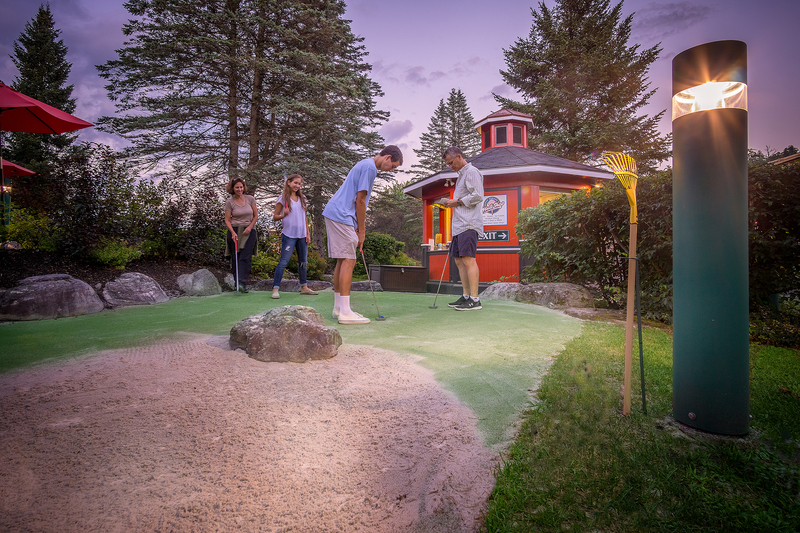 For more information on the only Stowe Miniature Golf Course, please call 802-253-9951 or e-mail info@stowegolfpark.com. During the off-season, please purchase your rounds at the Sun & Ski Inn and Suites front desk, or call 802-253-7159 for telephone assistance. Children 5 and under play free. Group rates (8 people or more) are $8.75 for adults and $6.75 for children and seniors. We also have season passes available. Adults (age 13+) are $95.00 and Children and Seniors are $75.00 per season. Would you like to bring a large group of people, celebrate your birthday, or hold your corporate party at Stowe Golf Park? Contact us direct at 802-253-7159 or info@stowegolfpark.com for more information and pricing. We will work with you to make your event a sweeping success!